Brian Snitker stood off to the side of the Atlanta Braves dugout, not wanting to get in the way. He watched his players mob one another on the field, celebrating the National League East title. The only trouble was that Snitker had such a rough time seeing. Those eyes were filled with tears, and they wouldn’t stop flowing. 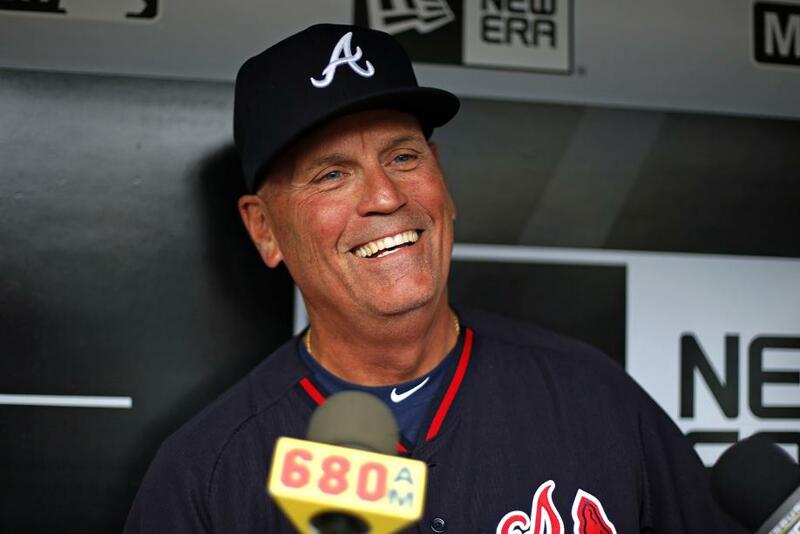 Snitker, who’ll turn 63 during the National League Championship Series, has spent the last 43 years in the Braves’ organization, longer than Hall of Fame manager Bobby Cox or Hall of Fame executive John Schuerholz. Hall of Fame third baseman Chipper Jones was in preschool when Snitker joined the Braves as a minor-league catcher in 1977. He has managed at every level in the organization. Now, here he was, enjoying the greatest moment of his career as manager of the Braves, leading the youngest team in baseball to a place no one envisioned. The last time the Braves stunned the baseball world like this was in 1991 when they went from last place to Game 7 of the World Series. That was the first year of a dynasty that yielded 14 consecutive division titles, five NL pennants and a World Series championship. Here they are again, perhaps in the infancy of another dynasty, with Snitker at the helm, leading the best core of young players in the game, with a deep and talented farm system. “This is a team full of baseball rats,’’ Snitker says. “They like everything about the game, and enjoy the game. It’s very refreshing to see a lot of guys love playing the game. They’re young, they’re talented, they got a lot of energy. These players love Snitker right back, and made sure that they put him center-stage in the Braves’ clubhouse celebration, spraying him with every bottle of champagne they could lay their hands on when they weren’t dousing him with beer. “When I was here as the third-base coach,’’ Snitker said of that 2007-2013 span, we won the division, the wild card. It was great. And to think, Snitker was oh, so, close just 11 months ago to no longer being in the organization. He was about to be fired. Former Braves general manager John Coppolella decided to fire Snitker after going 72-90 last season, high-ranking executives with direct knowledge of the plan told USA TODAY Sports. They requested anonymity because the plan was never announced. Snitker, who had been on the job just 1½ years, was going to be replaced by third base coach Ron Washington. Coppolella was fired before he could execute the plan, and a month later, banned for life from baseball for extensive international signing rules violations. He repeatedly lied about the activity to MLB investigators. Now, Snitker is a shoo-in to join Cox as the only Braves’ managers to win the NL Manager of the Year award since its inception in 1983. “It’s fitting, because he’s so similar to Bobby. Really, he’s Bobby 2.0,” says Braves All-Star first baseman Freddie Freeman, one of two players left from their last playoff team in 2013. Says reliever Dan Winkler: “I think everybody wanted Snit to be the manager before he got it. And once he stepped in, everybody wanted to win for him because they wanted him to stay. It’s no different than the way he managed during the minors, with former players like David Ross and Jason Heyward declaring their love for the man, calling him one of their favorite people in the game. Braves reliever Jonny Venters, who returned to the Braves for the first time in six years in July, says that Snitker was one of the biggest reasons he so badly wanted to pitch again after three Tommy John surgeries and a fourth procedure in 2016. Even his peers are euphoric for Snitker, knowing he conquered this journey through sheer patience and utter perseverance. “I love it, I absolutely love it,’’ Cubs manager Joe Maddon said. “That’s how it was always done in the past. You had to sweat in a number of different outposts, had a sore back from a lot of long bus rides, and are totally undernourished by stopping at truck stops throughout the Texas League. Perhaps no man is prouder than Cox, watching Snitker step in after the firing of Fredi Gonzalez, work for his fourth GM in 11 years, and take the Braves to the playoffs after four consecutive losing seasons – three with at least 90 losses. Cox steps into Snitker’s office at 6:40 p.m. every home game to say hello, and after every home and road game, win or lose, there’ll be a text message from Cox on Snitker’s phone. Now, with Freeman and Venters the only remaining players from Cox’s last team in 2010, the torch officially has been passed. “For him to have all this now, after all of the time he’s spent in the minor leagues,’’ Freeman says, “we’re the happiest for Snit. Next articleArmour: Where Does Tiger’s Comeback Rank? Or Does it Even Matter?